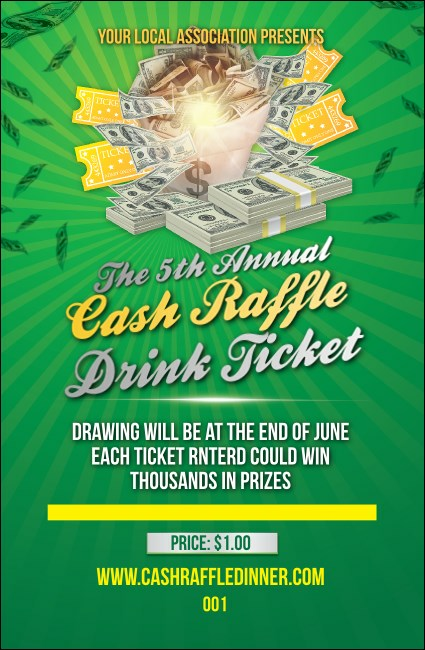 Give your guests the green light for a trip to the bar when you give them Cash Raffle Green Drink Tickets at your event. With a unique and fun money-themed background design, sequential numbering for security, and piles of cash featured in the center, these green tickets are worth every penny! Make the most out of your money at TicketPrinting.com.